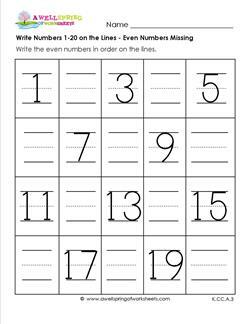 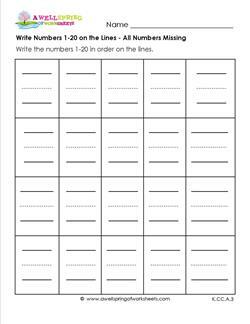 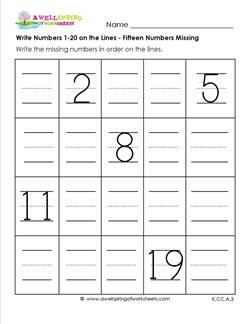 Kids can now try writing the other half of the numbers - the odd ones - in this writing numbers 1-20 worksheet. 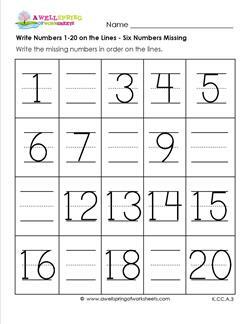 Be sure to have them write nicely on the lines! 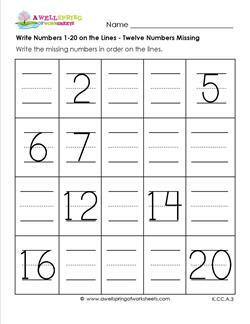 In this write numbers 1- 20 worksheet 12 numbers are missing. 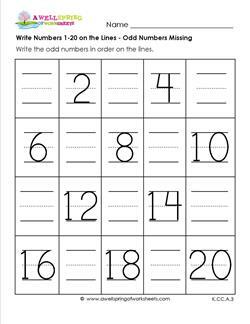 Use to ease kids into writing all 20 numbers or for slower kids so they'll be sure to finish.